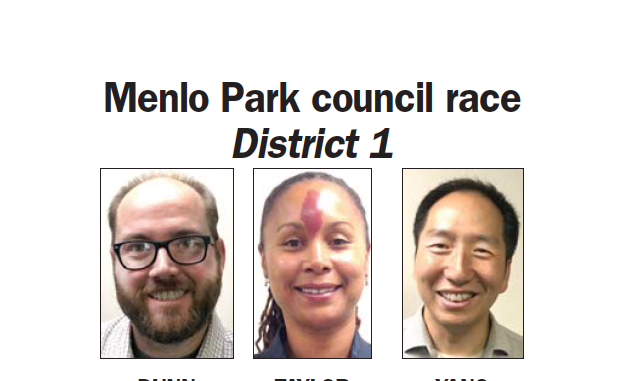 Three people are vying to represent Menlo Park’s Belle Haven neighborhood — which has not been represented on council in 30 years. 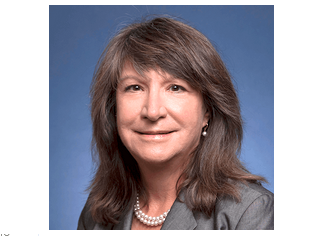 Cecilia Taylor, George Yang and Mike Dunn are vying for the seat, which came about because the city was threatened with a lawsuit by Malibu attorney Kevin Shenkman if the at-large system for selecting council members wasn’t dropped. Instead, the city has gone to geographic districts. 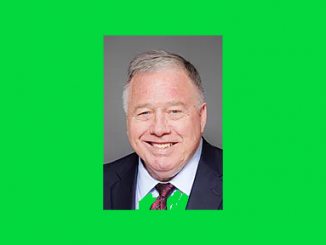 Shenkman never revealed who he would have represented in such a lawsuit, but there had been speculation that it was Taylor, who ran unsuccessfully in 2016 under the old at-large system against incumbents Ray Mueller and Catherine Carlton, who both were re-elected. Taylor denied the speculation but said she is grateful to the switch to district elections in order to give her neighborhood a voice on council. “In looking at the election from 2016, or at 2012 when (Belle Haven candidate) Carolyn Clarke ran … the votes (for them) are always concentrated in the Belle Haven but the person from the neighborhood doesn’t win,” Taylor said. Taylor, 48, grew up in Belle Haven and attended the Ravenswood City School District, which does poorly on test scores. 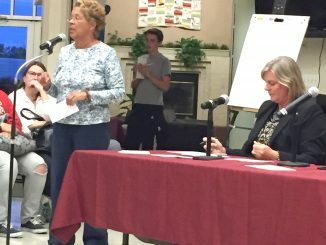 Taylor has previously called for the Belle Haven neighborhood schools to become a part of the Menlo Park City School District, but said last week that she’s open to looking at other options. The quality of education in Belle Haven was the catalyst for Mike Dunn, 36, to run for council. Dunn says he’d be open to working with the school district in any way to improve the schools in Belle Haven. George Yang, 42, says he agrees with some of the community’s goal to divorce the Ravenswood district, and says he will do what he can to help. The city council cannot do anything in regards to changing the school districts’ boundary lines, but it can put the city’s support behind different camps in the hopes of giving residents the political momentum they need to potentially leave Ravenswood or improve it. The Belle Haven is bordered by Willow Road, the railroad tracks and Highway 101, and because of its proximity to Facebook, the Dumbarton Bridge and Highway 101, residents can often find themselves trapped in their homes due to all of the traffic during the morning and evening rush hours. Dunn, who commutes to and from San Francisco on Caltrain, said that it can take him over an hour to get from the downtown Caltrain station to Belle Haven. Dunn says he would like to see more public transit options in Belle Haven and in the city in general. Yang said reducing congestion in his area would be his No. 1 focus if elected to council. To alleviate traffic, Yang wants to expand VTA’s light rail system from Moffett Field to Facebook, with a connection to Redwood City. The light rail would then go across the Dumbarton Bridge and stop in Fremont before going down to Santa Clara and Alviso. Yang says he would try to get companies along the rail line — such as Facebook, Cisco and Google — to help pay for the project in a public-private partnership. Yang also wants to offer free rides via partnerships with ride-share apps to senior citizens, allowing them run errands or socialize during noncommute hours. Taylor says she would not support anymore development — be it Facebook’s Willow Village or anything else — in the area until things are set in motion to improve the traffic situation in Belle Haven. Taylor says she thinks that the city’s shuttle system needs to be revamped — and include major employers in the city such as Facebook and the properties being developed by Tarlton, which already use their own shuttles — to create one comprehensive shuttle service for the city that would be both for employees in the city and residents.